When is Cow Appreciation Day 2018 at Chick-fil-A? Free food at Chick-fil-A. We repeat: Free food at Chick-fil-A. Break out the cowbells: Chick-fil-A just announced Cow Appreciation Day 2018. The popular (and controversial) restaurant is offering free food to anyone who dresses up as a cow on a certain day, so you don’t want to miss out on the fun. 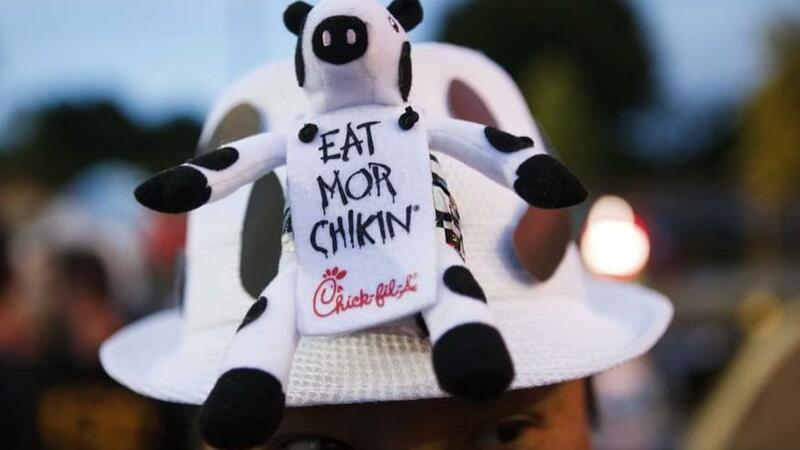 Cow Appreciation Day started 14 years ago when the brains behind Chick-fil-A decided to celebrate their bovine pals with a call to "Eat Mor Chikin." What food is free on Cow Appreciation Day? Chick-fil-A is simplifying for Cow Appreciation Day 2018. Anyone who dresses in anything cow related — even if it’s just a headband or earrings — can get a free entree. Kids can get a free kids meal if they dress up for Cow Appreciation Day 2018. However, you can’t get a salad — something the restaurant says is to "simplify the experience" for both customers and employees. 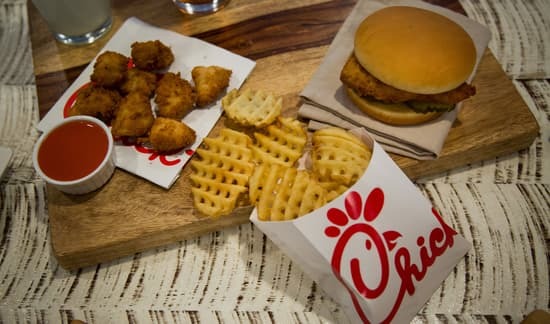 "We hope you’ll try a different menu item, such as our Grilled Chicken Cool Wrap, instead," Chick-fil-A said on its website. When is Cow Appreciation Day 2018? Not sure what to wear for Cow Appreciation Day 2018? You can check out some of the photos from Cow Appreciation 2017 on the Chick-fil-A website for inspiration. More than 1.7 million people took part in the day last year because, you know, everyone loves free food. The staff will also be wearing some specially designed Cow Appreciation Day 2018 t-shirts made by Thecla Scott, an employee in Missouri. "It’s really an amazing experience to see family and friends get together, dressed up, and enjoying food," she said. Cow Appreciation Day 2018 is set for Tuesday, July 10, from opening until 7 p.m. at all participating restaurants. Lifestyle - U.S. Daily News: When is Cow Appreciation Day 2018 at Chick-fil-A?